Are your photos trapped on your computer or in iPhoto? Set your photos free with ZoomFoot. 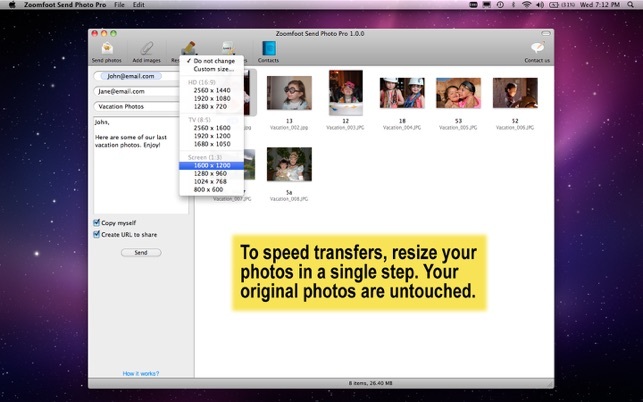 Send hundreds of high resolution photographs (up to 4GB at once) in one step. No zipping, resizing or email attachment limits to worry about. 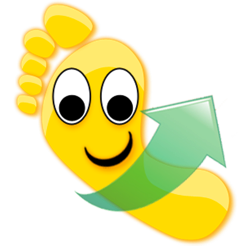 ZoomFoot takes care of everything automatically. Just drag photos to ZoomFoot, type an email address and walk away. It's that easy! 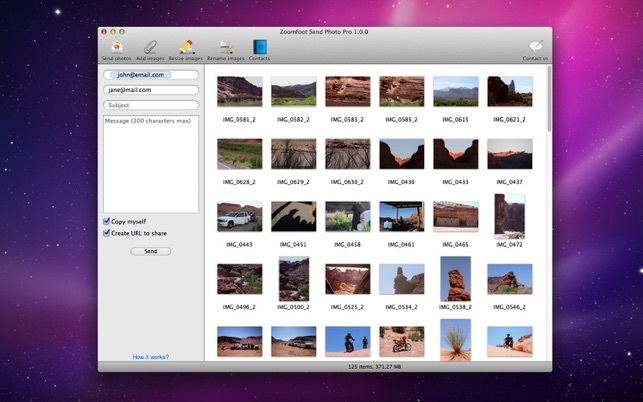 I found this easy to use photo collection software that effortlessly allows you to drag and drop Giga Bytes of photos into their app and in one click, all of your photos or collections are zipped and uploaded to their server. A URL is then created and sent to any email receipient you like. 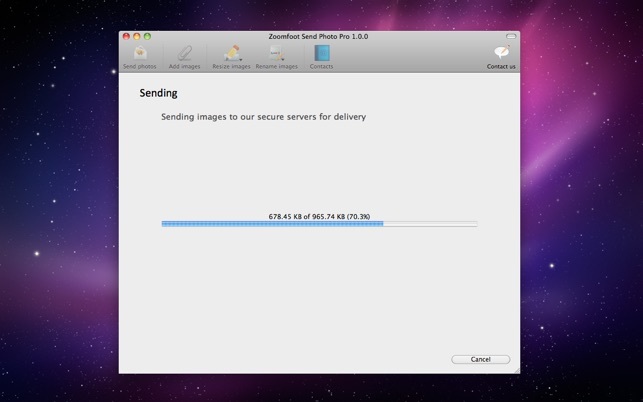 My experience trying to send collections of high quality large picture files before using this app has been frustrating so I am really impressed with "Send Photo Pro." 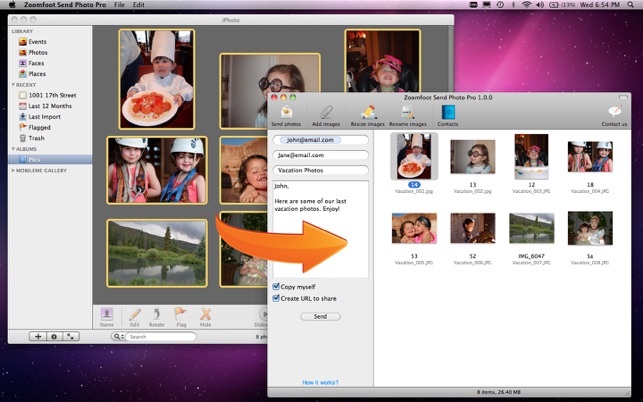 It is no longer necessary to join multiple cloud servers and create private shared folders every time I need to send a photo collection. Well worth the money! I have been on many sites to try and share photos for friends, family, and team mates to recieve at no cost to them. It was easy when mobile me was available, and with the delay in the availability of photo stream, I have been spending a good bit of time re-formating my RAW images so that others can receive the photo's I take during our teams games. This is the most simple, and easy tool. I love it. The only pain is making sure ALL the email addresses are correct!. If you have a ton of images to share, and want your reciepents to have the images for free, this is the tool to use.